This book is about design. It is a practical book dealing with the elements of design which create a sustainable system. Energy benefits are discussed relating to both domestic and broad acre environments. 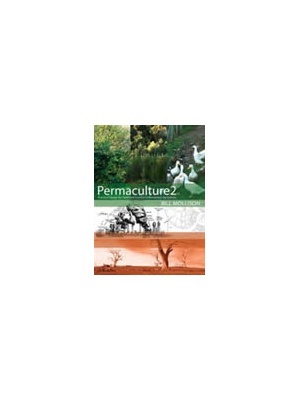 Permaculture Two is about design, not gardening or livestock per se but as elements in a system intended to serve man, and the ends of good ecology. Good teachers have nothing to give but enthusiasm to learn; they cannot with the best will in the world, give their students knowledge. Thus it is 'how' to design, rather than designing your site, which I am attempting here". Bill Mollison Product Features: * Design in Landscape * Soil Improvement * Broadscale Techniques * Design for difficult climates * Structures * Waterworks * Free range poultry design * Permaculture and community"